YOU choose - ANY ceramic tiles or porcelain sink - from your local supplier, designer, or contractor. ANY size, design, and texture can become the canvas for our creation. We then co-create hand-painted tiles and porcelain sinks, fired to a beautiful permanency, along with wall murals and Trompe L’oeil. You choose ANY china/porcelain sink, and we will CREATE and FIRE a design to you unique specifications, color and detail. 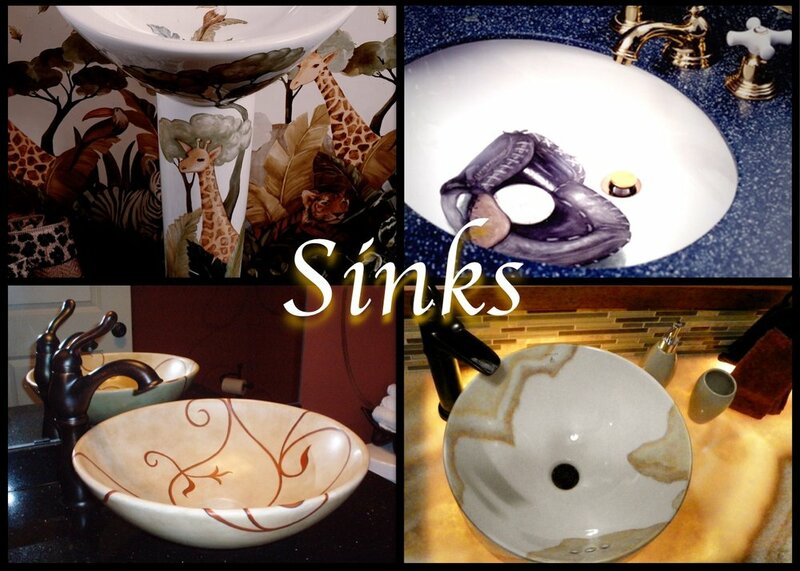 Painting is permanent and will last the life of the sink. Choose ANY commercial ceramic or porcelain from your favorite supplier, and we Create and FIRE your unique design. The result is a permanent one-of-a-kind masterpiece! 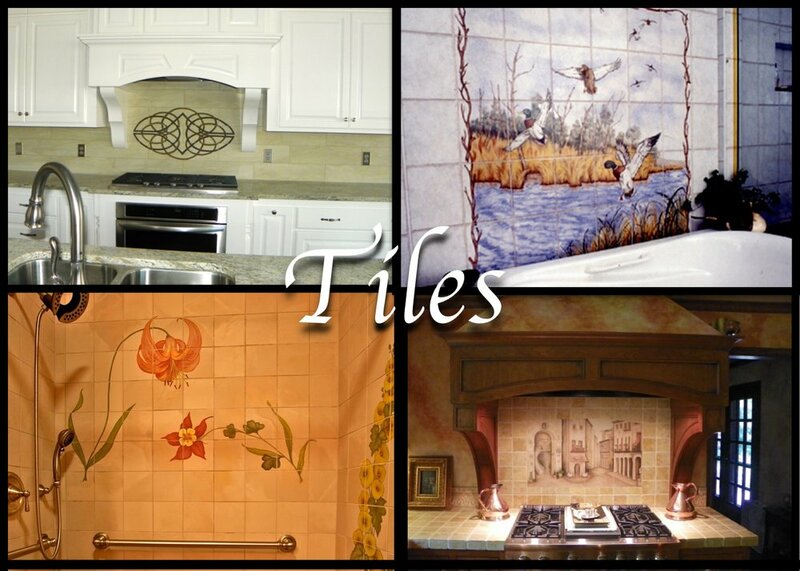 Single tiles or murals for kitchen, bath, floors or outdoors. Murals and Trompe'Loeil (French-fool the eye) are hand-painted directly on walls, ceiling or floor. Children's rooms are a great space to "grow that creative spirit". Untapped Resource Inc. has been "co-creating" with it's clients since 1991. Sheryl’s work is promoted in over 30 showrooms through out the nation, has been involved in countless award-winning commissioned works in homes and commercial properties. Her work has been highlighted in four episodes of Travel Channel’s Passport to Design, HGTV’s Before and After, scores of ASID Showcase Homes, and photographed in many of the industry’s top publications. Her work for commercial properties include MSP airport, Community School of Excellence, and numberous restaurants including Smack Shack, Mpls., and Pazzaluna in St. Paul MN. Sign up with your email address to receive updates and new co-creation stories. I hope to Co-Create with you soon!